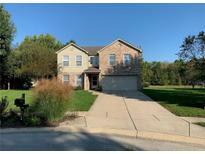 Below you can view all the homes for sale in the South Harbour subdivision located in Noblesville Indiana. 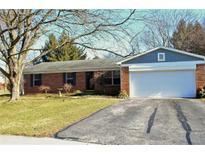 Listings in South Harbour are updated daily from data we receive from the Indianapolis multiple listing service. To learn more about any of these homes or to receive custom notifications when a new property is listed for sale in South Harbour, give us a call at 317-427-7201. It is a short walk to Hinkle Creek Elementary School, and to the South Harbour Amenity Center with Heated Pool, Clubhouse, Playground, Sand Beach on Morse Lake, Tennis, Pickle Ball, Basketball, & Sand Volleyball Courts. MLS#21630378. F.C. Tucker Company. An entertainers outdoor living space with paver patio, built in seating area, pergola, and firepit! MLS#21630344. Keller Williams Indy Metro NE. Neighborhood amenities include a large clubhouse, pool, park, playground, tennis and basketball courts, and the best amenity is the BEACH on Morse Reservoir! MLS#21629772. Keller Williams Indpls Metro N.
Recent updates include 2014; New Furnace, 2018; New Gutters with guards, soffits and fascia boards, and new water heater; 2019; New Microwave. MLS#21628874. F.C. Tucker Company. This One Will Not Last Long! MLS#21625808. F.C. Tucker Company. * Many recent updates include: wood plank laminate flooring, front door, appliances, kitchen cabinets and granite counter tops , furnace and A/C(2012), Water Heater (2014) insulated garage door. MLS#21626714. F.C. Tucker Company. Perfect cul-de-sac location on over half an acre! MLS#21624023. RE/MAX Complete. Large master bedroom with master bath, two additional bedrooms and spacious hall bath. MLS#21622992. 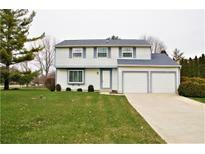 Keller Williams Indpls Metro N.
All this on just OVER 1 ACRE OF LAND! 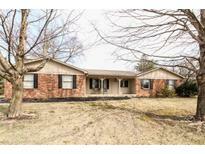 MLS#21616164. Keller Williams Indy Metro NE. You need to see this to appreciate it! MLS#21615433. Thorpe Real Estate, LLC. Must see to appreciate the water access this home offers for your toys! MLS#21614970. Highgarden Real Estate. This home is a "Must See"! MLS#21611662. American Dream Realty.